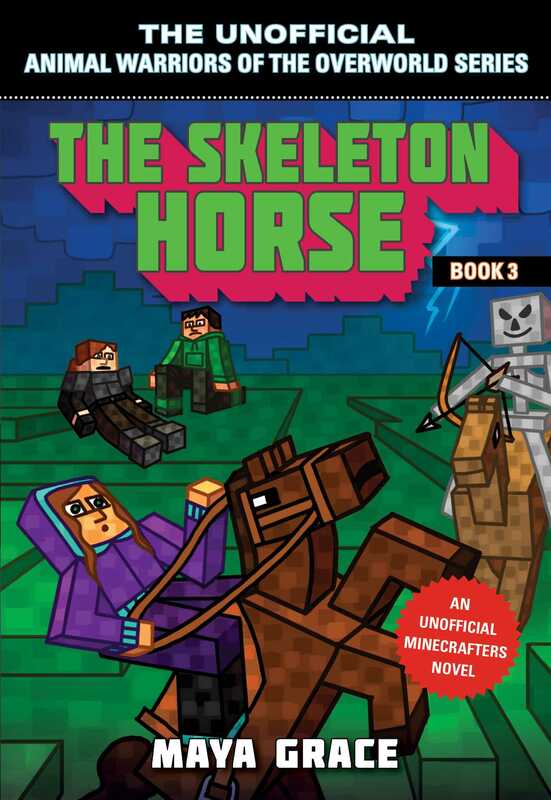 The Final Book in an Exciting Series of Adventures for Minecrafters! The day and night cycle has stopped! Ella knows what that means—hostile mobs will spawn uncontrollably across the Overworld, just as they did during the Uprising. Just as they did the last time her mother was seen alive. In a desperate race against time, Ella and her cousins venture out into the night to try to set things right. But when lightning strikes and skeleton horsemen appear, Rowan is hurt! Without fierce Rowan by her side, Ella will have to face one of her greatest fears—or face the fate that befell her own mother. THE UNOFFICIAL ANIMAL WARRIORS OF THE OVERWORLD SERIES is an all-new Minecrafter story in which cousins Rowan, Jack, and Ella don’t know a thing about their mysterious past—or the powerful gift they’ve inherited. But something is calling to them from the Overworld outside the walls of their grandmother’s twisty mansion. Some things are calling—wolves, ocelots, and other animals that need help fighting the rise of hostile mobs. As the cousins find the courage to venture out, they discover that they can communicate with those animals. Every adventure adds a piece to the puzzle of their past. Soon, the cousins will learn not only what happened to their parents, but also of the danger facing them all. They’ll need to call on their special gifts—and their animal friends—to fight back. Maya Grace dreams of being able to communicate with animals the way Ella, Rowan, and Jack can. She grew up with dogs and cats and learned to ride horses as a teenager—although she’s still a little scared of them. Today, Maya settles for taming wolves and ocelots in Minecraft and writing books about animals from her home in Madison, Wisconsin. Her nieces and nephews inspire her love for Minecraft, and her writing buddy, Siddy Cat, keeps her company while she works. Maya volunteers for the Madison Reading Project and seeks to get books in the hands of all young readers.